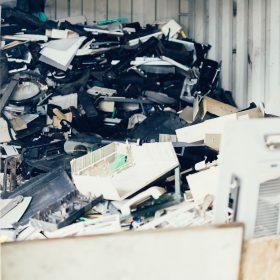 For the past 5 years, WordLoop has supported a number of African entrepreneurs and NGO’s in starting and scaling responsible e-waste recycling in Sub-Saharan Africa. Throughout this five year period, a lot of knowledge and experience in best practices has been acquired. WorldLoop would like to share its knowledge and experiences in a more streamlined and distributive way via an online platform. Through the platform, WorldLoop will share its knowledge more broadly and interested parties will have the opportunity to share their own experiences and best practices in the field of e-waste recycling and circular economy.